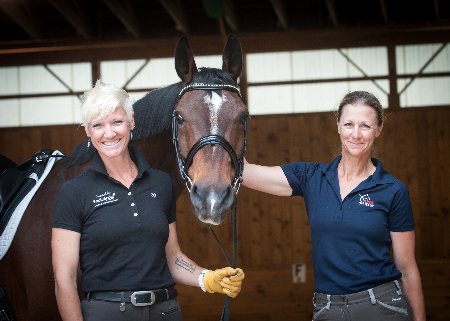 “There is something about the outside of a horse that is good for the inside of a man (or woman)” -Winston Churchill. Those of us who have been afflicted with this equine obsession/compulsion/addiction totally get the statement. It is simply part of us. It just is. We don’t outgrow it; we don’t ever stop needing it; we just don’t. So what then happens when we grow older and frailer? Do we just stop needing this connection to our equine friends? Of course not! We don’t ever stop. We join the Century Club! For me, while I gain from working with each and every student, it’s the older riders who teach me the most. One of my favorite students is Sandra, who is 83 and a lifelong rider. 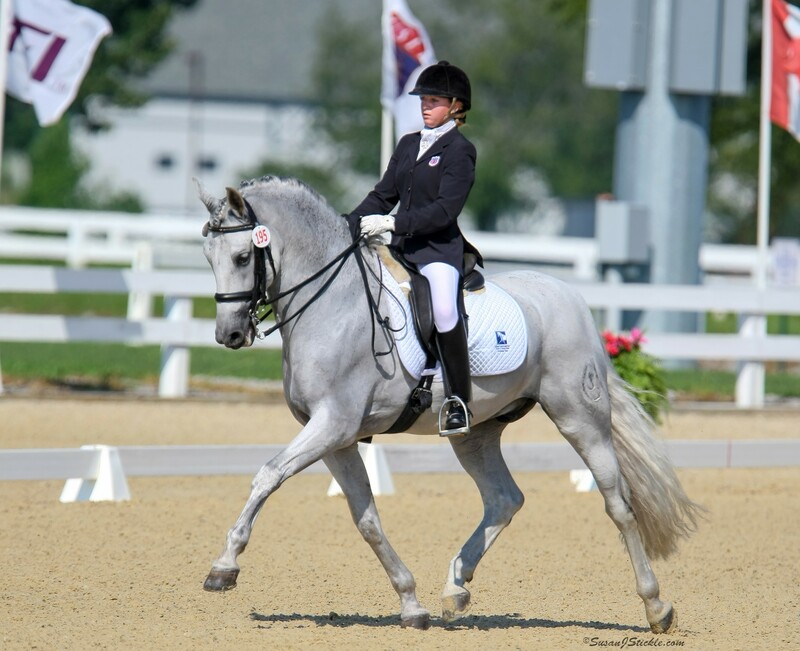 She rides generally for about 20 minutes: walk, trot, maybe a little canter now and then or some leg yielding. We had a good laugh the day Tam decided to be difficult and threw a pretty good buck when he was told to trot. Yes, she can still stick a buck! We were recently taking a break during a practice session for Sandra’s Century Club ride when she said, “Did you know I once beat Hilda Gurney?” Well as it turned out, maybe Hilda’s horse was a little naughty that day. Anyway, the perspective of these older riders is what I most admire and enjoy. They have been the careless child exhilarated by their first fast canter. They have been the frustrated rider who finally rides “on the bit” AND in “shoulder in” at the same time. In their final years of riding they are again just happy to be on the horse. If today the shoulder in eludes them, it’s OK. They have perspective. Every day they get to be on a horse is a victory. 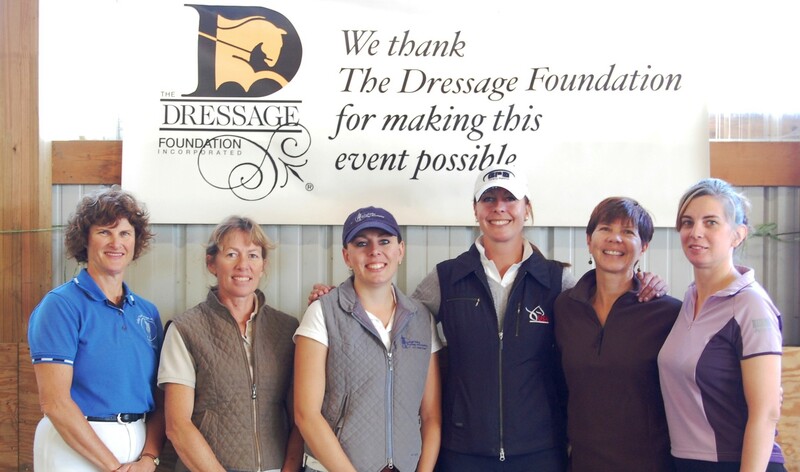 The Dressage Foundation has created such a wonderful program in the Century Club. We not only have a great milestone to celebrate with these horse and rider teams, we are reminded to celebrate our love of the sport. Maybe if I get to ride down centerline to join the Century Club one day, I’m going to tell everyone about the day I beat Lendon Gray. As it turned out, maybe her horse was a little naughty that day.